It is a common question from (beach) volleyball players how they can jump higher at the net in order to improve their blocking and/or hitting. 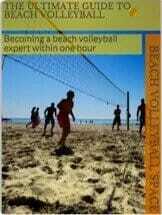 Beach Volleyball Space is not focusing on coaching and training advice. Nevertheless, we want to help you improving your jumping skills. As you might know, there are tons of training and fitness blogs out there giving advice on how to increase your vertical jump. To make things easy for you, we did the research to find the best ones. We have scanned all sorts of general fitness, jump training, volleyball, basketball, medicine and nutrition blogs for you. The result are the Top 15 Jump Training Blogs. These are the blogs that will give you the tools and techniques for increasing your vertical jump as fast as possible. Bodybuilding.com is the blog of one of the world’s largest online fitness stores and communities. They also provide a huge amount of free training, workout and nutrition content. Just search for “vertical jump” and you will find tons of material. If you really wanna dig deep, this site is the place to go to. American Council on Exercise (ACE) is an exercise professional and health coach certification organization. They provide some great scientifically-backed resources on jump training, especially plyometrics. Using the search function, you will easily find the relevant information. Fitness Blender is a great fitness blog focusing on healthy living and eating. Daniel and Kelli do also provide some specific advice for volleyball players. Check out their blog that provides some detailed jump training video tutorials. 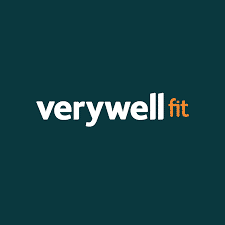 Verywellfit is a general fitness and nutrition blog with tons of articles by healthcare professionals and industry experts. Searching for “vertical jump”, you will find multiple posts on vertical jump training. Some of them are explicitly focusing on (beach) volleyball. This is a health and nutrition blog with great information on being healthy and in shape. Their advice on jump training focuses on doing things right and avoiding injury. If you had any health or pain issues with your volleyball training and workouts, you should visit this blog. Strength and Power for Volleyball is exclusively dedicated to volleyball and Dennis offers a great amount of resources on training, conditioning and drills. Regarding jump training, you will find articles, exercises and videos to improve your volleyball jumping power. This is a basketball blog for coaches. And as with most basketball blogs, there is also a section on how to increase your vertical jump. We found this part really helpful for coaches, players and everyone trying to improve his jump. So check out Coach Mac’s blog! This our second basketball training blog. We included this one because Jesse really does a great job of reviewing several jump training programs out there. If you wanna get an insider’s view on jump training, this is the blog you wanna head to. This general fitness and training blog has several great posts on jump training. Main target group are coaches but also athletes and players can get a lot out of it. Type “vertical jump” into the search function and you are ready to go. This blog is exclusively dedicated to jump training. Besides providing useful information on jump training in general, Matthew also reviews several jump training programs out there. This blog is for sure one of the most dedicated resources to the topic of jump training. This is an incredible resource for everything on jumping. The site provides advice on how to improve jumping height and technique using video tutorials. It also gives an overview on the best vertical jump programs available. Probably the most specific resource on jumping, definitely worth checking out! This is a dedicated jump training blog. In the “Articles” section you will find numerous posts dealing with the vertical jump. Kelly is also working on a vertical jump app which you can beta-test. Bach Performance is the renowned fitness blog of Eric Bach. Although having a general fitness focus, Eric’s blog has several jump training posts you can find using the search function. We also liked the information on Intermittent Fasting that might support your jump training workouts. 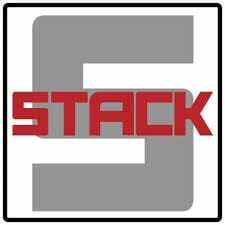 Stack is a general fitness blog with lots of information on training, nutrition and gear. It also features multiple articles on vertical jump. One of them suggests a detailed 8-week workout program to increase your jumping abilities. For trying out the program and getting in better shape in general, this is the site you wanna go to. MTS is a sports medicine and performance consultancy providing advice to coaches, trainers and athletes. They do provide some free content on jump training that you might wanna check out, especially if you are interested in sports medicine. Congratulations to all the winners! We think with these resources you can easily get started with the best vertical jump workouts to increase your vertical leap. If you have any comments or think we missed out on anything, please let us know in the comment section below. Hi, and thanks for your collection of blog sites! I don’t think I heard of any of these so I have a lot to read now. If we only should choose one of them, which one would you recommend? Hey Jan, there is no best one I could recommend. It all depends on what you are focusing on. If your son is a basketball player, you might wanna check out the basketball blogs first. Have fun! Thanks for including Vertical Jump World in this list. We will continue to strive to put out the best vertical jump related content online. If anyone wants to learn how to get a higher vert definitely come and check us out! Great! Keep up the awesome work! we haven’t tried Vertshock so unfortunately we cannot give you any insights on the program. Vertshock is not a bad program. I didn’t gain so much from it but I had done other vertical jump training for a long time before. Definately not the most theorerical program, focuses more on “how” and not so much on “why”, which is great for someone eager to start working out without having to spend hours for understanding everything first, but maybe less good for someone who has gotten some initial gains, reached a plateau and trying to find ways to break the plateau! Thanks for your detailed and helpful comment, Alex! Yes, with good jump training you can come a long way! Totally. If you are consistent in your approach…! Thanks, that’s great to hear that you find the resources helpful and that you are making progress. Keep on going! Hi, thank you for creating this resource. I am looking at the Jump Manual as I coach high school level volleyball. Have you seen this and do you have any thoughts? Sorry, no experience with The Jump Manual, Scott. In fact we believe that the Vert Shock vertical jump training system seriously over delivers. As you know, there are many digital products on the internet for people to choose from and many are very low quality and offer un-realistic results. Vert Shock is far from anything like those products. We have taken from some of the brightest minds and combined the training principles into this course. The professional athlete endorsements are a testimonial to the effectiveness of the product. The development of the Vert Shock platform took over a year to complete so you know it is a very thorough and high quality product. There is not only a set of scientifically proven workouts inside the members area, there are also high quality videos, online coaching platform offering recurring payments, bonus materials, and a members only forum. Thanks for the links, exactly what I’m looking for! I was recommended the Jump Manual program which is getting great reviews, is it something you have any experience with? No, we don’t have experience with the Jump Manual, Brian. I’ll absolutely follow these training jump guide. Thank you so much for sharing this information! Thanks for your feedback. We are glad you are following these jump training blogs!